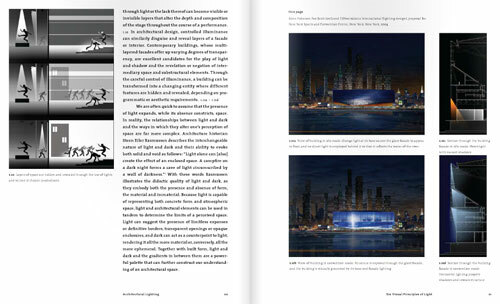 Architectural Lighting, part of the Architecture Briefs series, provides both a critical approach to and a conceptual framework for understanding the application of lighting in the built environment. 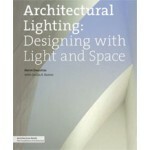 The key considerations of lighting design are illuminated through accessible texts and instructional diagrams. 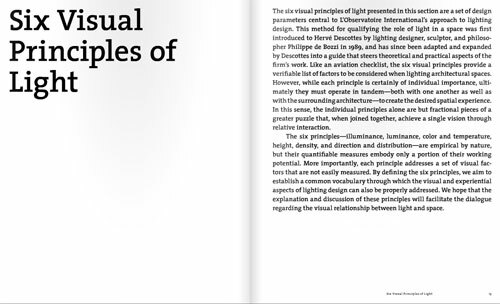 Six built projects provide readers with concrete examples of the ways in which these principles are applied. 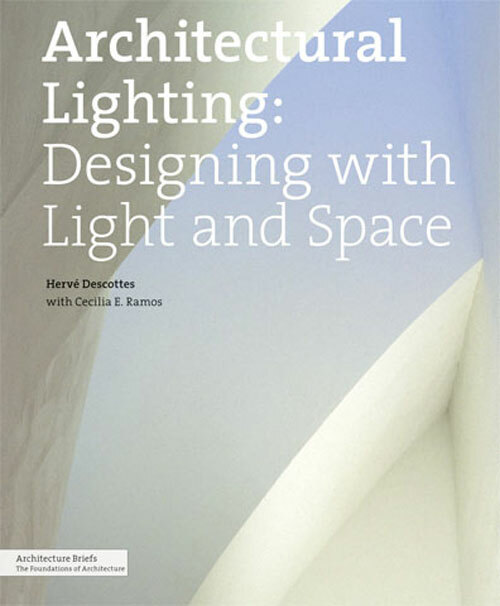 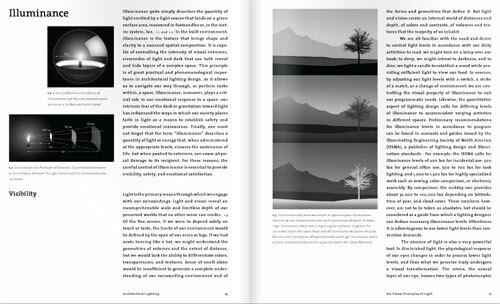 Short essays by architect Steven Holl, artist Sylvain Dubuisson, and landscape architect James Corner explore the role of lighting in defining spatial compositions.